Following a personal awakening experience in the mid 1980’s, Stuart was guided to abandon a successful career in Corporate Business life and to follow his passion in the travel industry. His first venture, a golf tour business, which is still in operation, was the forerunner for In-Spirit – Soul Journeys to Sacred Africa, his current burning passion. Stuart studied and worked with Zulu High Sanusi (Shaman & Healer) Credo Mutwa for many years, learning about the sacred sites, traditions and customs of South Africa and subsequently started his second travel company in 1995. Since then he has led many groups from the U.K., USA, Holland, Belgium, Denmark and Germany, to visit the Sacred Sites of southern Africa and occasionally to the United Kingdom. Stuart has maintained a close friendship with Credo Mutwa who, now in his nineties, is unfortunately no longer able to travel. For 5 years Stuart was also intimately involved with the mysterious archeo-astronomical phenomenon in the mountains of the Cape region of South Africa that map the paths of the sun along the southern tip of Africa. In April 2002, the well-known dowser and author, Hamish Miller and his partner Ba Russell visited South Africa as Stuart’s guest to dowse the energy lines of Table Mountain in Cape Town. Stuart and Audrey assisted them in their work in mapping these energy lines throughout the region and give tours which combine these and other sacred sites of Cape Town. Audrey Spronk, was born in Krugersdorp, South Africa where she lived for 10 years before moving to Holland. 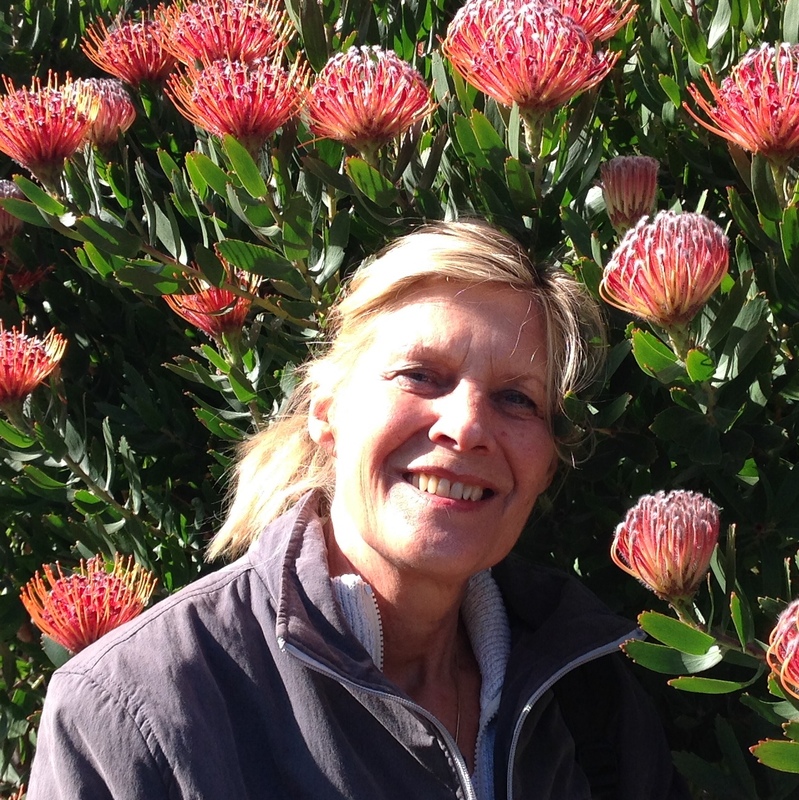 For the next 35 years she remained in The Netherlands before answering an inner calling to return to her country of birth to settle in Cape Town. While in the Netherlands, she worked in the commercial field with Corporate Businesses, with ISNAR (International Service for National Agricultural Research) sponsored by the United Nations and as a social worker in various fields. From her early twenties she worked with her grandfather, who was a channel and healer. As a co-leader with Stuart, Audrey’s awareness enables her to lead meditations, to “hold” the group energy and to anticipate and share issues and experiences for individuals and the group as a whole during the tours. Audrey also facilitates Retreats for people looking for quiet time to go inward and clear baggage of the past under her expert guidance. During our many years of operation we have developed unique journeys and have built up close relationships with some very special people whom we include in some of our itineraries as Specialist Guides at certain places we visit. Michael Tellinger, describes himself as a “maverick scientist” and a “serial entrepreneur” with a passion for the cosmos and pushing the boundaries of knowledge. He graduated from Wits University, Johannesburg in 1983 with a B.Pharm degree and a passion for genetics, science and human history. His diverse field of research touches on human origins, spirituality, science and the rise of unity consciousness. In his latest book ‘UBUNTU Contributionism – A Blueprint for Human Prosperity’ Michael outlines a new social structure of Unity for all. He is the founder of the UBUNTU LIberation Movement and the UBUNTU political party that contested the 2014 elections. Enos Zulu is a Specialist Guide, extensively trained by Michael Tellinger, for the Adam’s Calendar site, the flagship among millions of circular stone ruins, ancient channels, agricultural terraces and thousands of ancient gold mines, left behind by the Anunnaki and a vanished civilisation known as the First People. Enos acts as a guardian of the Adam’s Calendar site and lives nearby. He is also a qualified Specialist Bird Guide and conducts birding tours in the region which is renowned as one of only two nesting sites in Southern Africa for the rare Blue Swallow. Linda Tucker is the founder of the Global White Lion Protection Trust and author of ‘Mystery of the White Lions – Children of the Sun God” and “Saving the White Lions” – One woman’s battle for Africa’s most sacred animal”. Both books are highly recommended as pre-tour reading. After being rescued from a life-threatening encounter with lions in the Timbavati game region by a sangoma – Maria Khoza, who was known as the ‘Lion Queen’, Linda embarked on a journey into the mysteries of Africa’s most sacred animal – the legendary White Lion. Together with her partner and lion ecologist Jason Turner, Linda has dedicated her life to the preservation of the White Lion and to eradicating the despicable practice of canned lion hunting in South Africa. Audrey Delsink-Kettles is a freelance elephant ecologist, resident research ecologist at the Greater Makalali Private Game Reserve and Humane Society International Field Director. She is a Ph.D Candidate of the University of KwaZulu-Natal’s Amarula Elephant Research Programme. 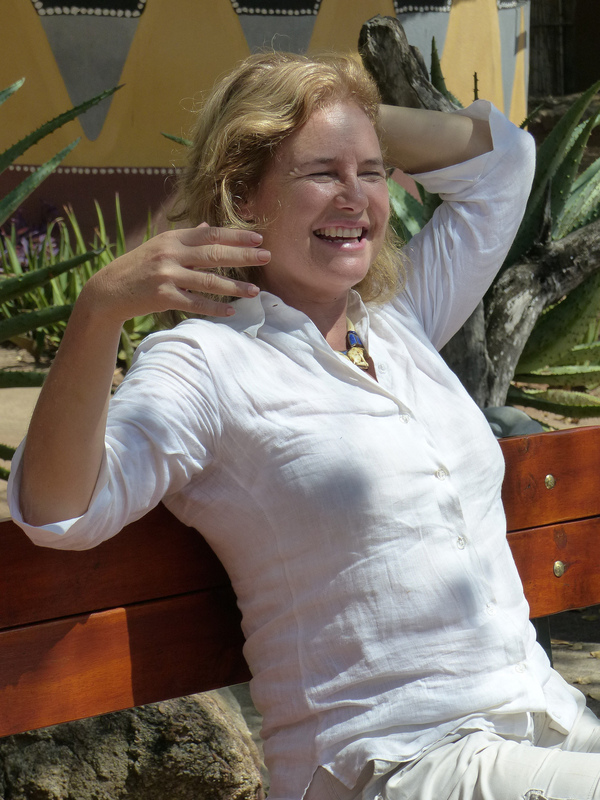 Audrey has been involved in the benchmark Makalali study since its inception in 2000. 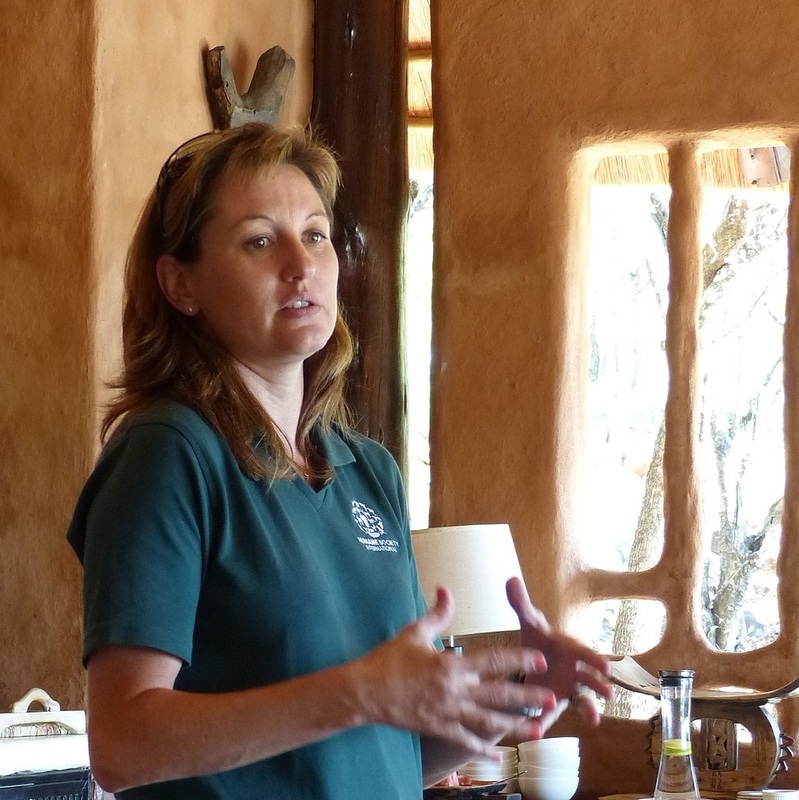 As a consultant, Audrey works with protected area managers in a number of reserves in South Africa. Click below to view Audrey being interviewed by Brad Laughlin and Leslie Temple-Thurston of Corelight during one of our tours. Bridgeman Zulu is a Senior Game Ranger in the world famous Kruger National Park which is situated on the north east corner of South Africa bordering Mozambique and Zimbabwe and the largest Game Reserve in the country. He has a great passion for Africa’s wildlife and is a veritable mine of information on the animals, birds, trees and reptiles of the park. Bridgeman’s enthusiasm, gentle nature and humour make him a favourite among our guests and he always goes out of his way to ensure everyone is enjoying their experience of Kruger. Obidiah (Obi) Mapurua is a freelance Tour Guide resident in Windhoek and our choice when touring this beautiful country. Obi has been operating as a National qualified guide for 20 years and has been used in various promotional exercises by the Namibia Tourism authorities for promoting this destination. Obi has a wonderful sense of humour and fits in harmoniously with our groups. His openness and willingness to share many stories makes him a favourite with our group members and he loves working with guests attuned to spirit and nature. A safe and trusted driver, Obi is meticulous in ensuring every Guest is looked after and luggage is taken care of without hassles.